The used car market in Delhi has seen a growth in the past few years with the growth being seen especially in the premium car category. Though sales of new cars remain sluggish, the used car industry is continually becoming a more welcoming source of profit for the car makers. The idea of setting up a used cars division has already been realised by car manufacturers like Volkswagen, Ford, Toyota, Hyundai, Maruti Suzuki, and also by the luxury car majors BMW, Audi and Mercedes-Benz. With the thousands of resources available to us online, selling a used car to a dealership in Delhi is no longer a daunting experience now. This is also because of the rising demand for used cars in India. It is always advisable to research the trade-in value of your used car on the Internet and then with the figures in mind, you can turn up at a car dealership that might be interested to purchaser your car. It is also better to be realistic about the condition of your car once the dealer inspects it. Some well known car dealerships in Delhi have a policy where they buy any car that you are willing to sell them, irrespective of the overall state and make of your used car. Other dealerships in the city may try to fix a deal even if you do not plan to buy anything from them in return. Remember that in such cases, there is very little scope of bargaining since you will not be trading in your car for a new one from them. 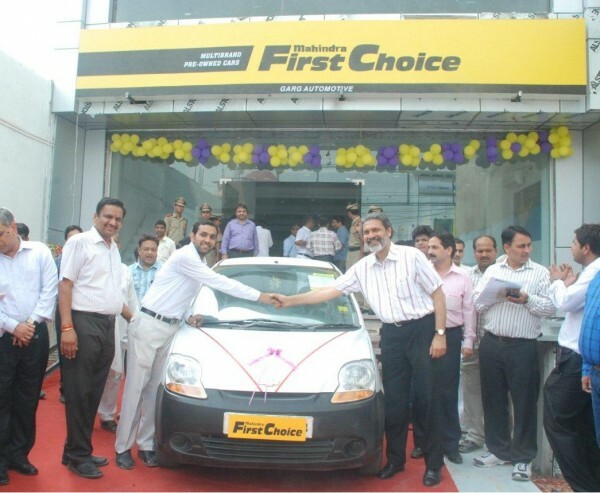 Now before you visit a used car dealer in Delhi, remember to know what kind of car you own. If it is an older one with issues such as bad tyres, non functional parts or dents and scratches, then there is a probability to be faced with issues to procure an offer from most new car dealerships in Delhi. You may wish to find the car dealership that shows maximum interest in selling your used car because they would probably be more likely to offer you the most money for it. For this, you should first go to a car dealership that sells cars of the same make as yours. For example, if you are trying to sell a Merc, take it to a Merc dealer to know what they will offer you. Only try a different brand car dealership if no Merc dealers can offer an agreeable deal. If your car is older, you may want to directly visit a car dealership that deals with only used cars. For example, a 1990s Maruti will probably fetch less value to a Maruti dealership now, which mostly sells new Maruti cars. So it makes more sense in that case to go to a pre owned car dealership that sells inexpensive pre owned cars irrespective of brands. Remember that it is better to just be prepared to accept a trade-in value that may be slightly less than the retail value of your car.